Time flies, tomorrow would have been Gor Gor Leslie Cheung Kwok Wing's 59th birthday. Japanese "Gor" fans as usual personally made origami cranes for Gor Gor and brought them to Hong Kong as a birthday gift for Gor Gor. 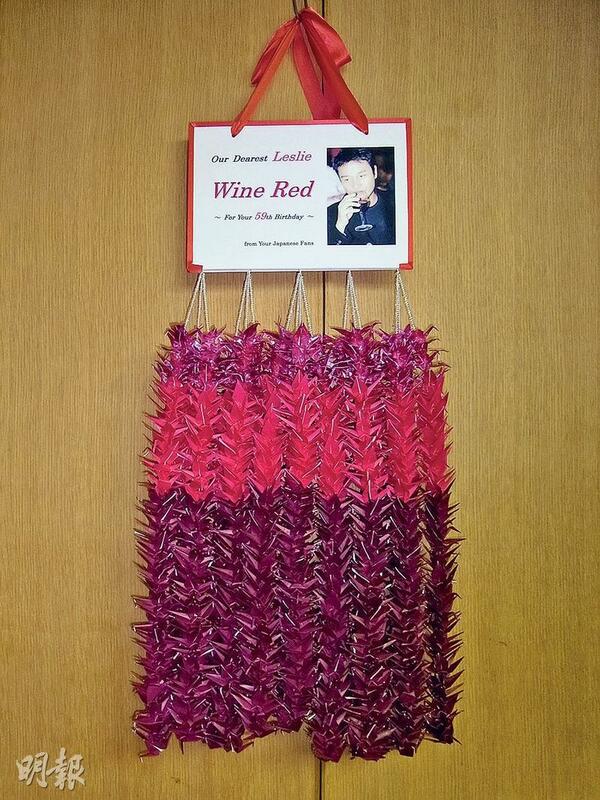 This year's origami cranes theme was "wine red" for the red wine fan Gor Gor. Japanese Gor fans felt that the mature and strong red wine was very suitable for "Gor Gor". They on 912 wine red origami cranes wrote their blessings for Gor Gor, telling Gor Gor that they would always love him and respect him!